Many times, probably too many times, in the past year we have found ourselves sitting in a conference hall, listening to an enthusiastic explanation of the latest crowdfunding platform which is about to revolutionise how businesses find funding. The cities that these conference halls are based in are always wealthier than Detroit and the people delivering the speeches are, as you would imagine; white, middle class, tech-savvy and hooked up to an IV drip of buzzwords and alienating jargon. Recently, many of these new platforms have been looking to "readdress the balance", aiming to give those previously uncatered for a chance to raise funds – be they people residing in developing nations or self-employed workers who wouldn’t dream of associating themselves with a tag such as 'entrepreneur’. But still the same language is applied and the stipulation of doing everything online present, it beggars belief that the same approach is consistently taken. There are many successful crowdfunding organisations out there who work very effectively with a fairly concentrated section of the global population, which is great. But there are still a very high number of people who struggle to get the modest funds they need to get an idea off the ground. Step forward Detroit Soup and its founder, Amy Kaherl, who has been presiding over the city’s 'Soups' for five years. With a slight team of volunteers Kaherl convenes the fundraising events in empty halls across the city, with an open invitation for anyone to attend for a suggested donation of $5. For this donation each guest receives a hot meal and the chance to watch a small group of people pitch their ideas to the room, before asking questions and voting on the best idea. The winner is then able to take home the money collected on the door (often in the region of $1,000), with a promise to return three months later and update everyone on their progress. "Soup was never my idea, we took it from a group in Chicago, who are no longer around. 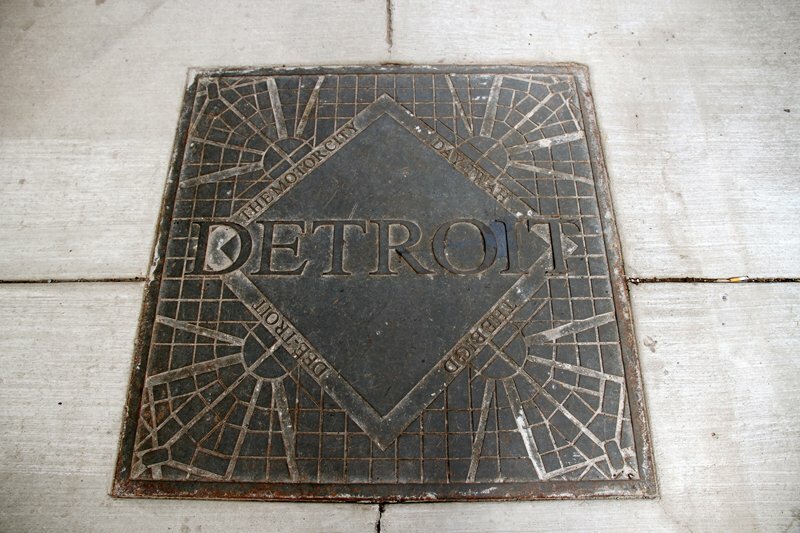 For some reason it just seemed to really take off here in Detroit," explains Kaherl as we sit down for lunch in the middle of a freshly regenerated Downtown Detroit – an area currently garnering international interest from creative and start-up communities alike. "The folks that we work with are at a completely different stage to those in Downtown Detroit, we go into the neighbourhoods and there you experience something quite different. "Soup never grants people money or gives them something for free, you have to work for it. 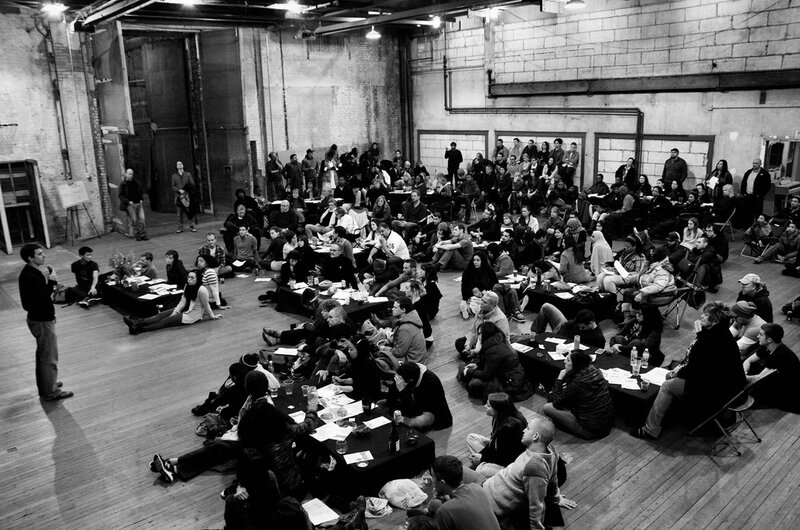 The rules at Detroit Soup are 1) You can’t use PowerPoint and 2) Your idea needs to be workable within the city limits. Other than that it’s pretty much open for you to do as you like. All are welcome, so all come – all ages, races and socio-economic backgrounds." Refreshing could not be a more appropriate word for our conversation with Kaherl. For starters, as a founder of a highly-acclaimed crowdfunding project, she doesn’t once use the word crowdfunding, or any other phrase coined in Silicon Valley for that matter. Her drive appears to come from a sincere desire to help those in Detroit wrestle themselves out of the problems which the city has landed them in, along with a healthy dose of cynicism for a lot of the projects currently being undertaken in the Motor City. But is that how she sees it? "A lot of what I do comes out of my dissatisfaction with religion. Soup takes religious principles, like love and respect, puts them in ritual circumstances and gives them back to people. We’re keen to offer people a different perspective on things. "If I had a million pounds I’d use it to send the people from my neighbourhood to somewhere they’ve never been before, where they have no family. A lot of people here can’t leave and they don’t know any different. This is not a progressive state, we’re not know for entrepreneurship, innovation or forward-thinking, it would be great if we were able to offer people a view of something different." "Something different" very much sums up the Soup experience. When you hear the type of ideas which get the go ahead, you can see why traditional funding models wouldn’t work in their favour. "What ideas get the $1,000?" Mulls Kaherl. "Ones touching subjects such as increased prisoner injustice or housing tend to do well, as those are the things that people in Detroit care about. 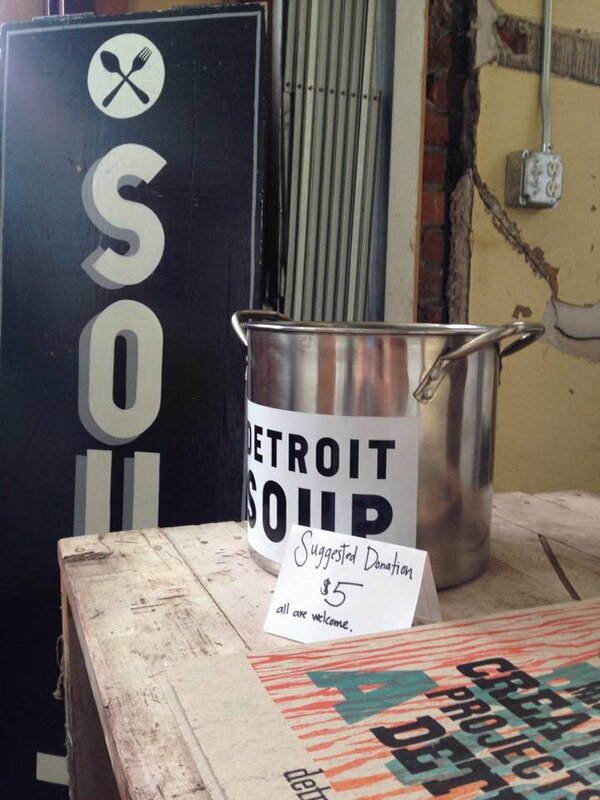 I heard someone say it’s like your civic duty to go along to a Detroit Soup." And what of the current regeneration of the city? An issue we were certain Kaherl would be keen to share her views on. "There are a lot of things changing in the city but not the right things. I’m a very critical thinker and don’t see what’s going on in certain areas as gentrification, it’s displacement. Sure, it’s good you can get a cup of coffee easily here in Downtown now, but there are bigger issues. "The graduation rate in the city is something around 40 per cent, that’s one of the largest minorities/majorities in the country. It needs to be closer to 80 per cent. When the schools change then Detroit will change." With Soups now popping up across both the US and the UK, there should be ample opportunity for us all to fulfil our civic duty soon enough.